Convenient and ready to travel, our metal Travel/Storage Tin is tricked out to hold your collection of Clay Punch Cutters™. Great for taking your CPC™ to classes and retreats or as a more secure way to store your cutters instead of the organza or zip loc bags. Now! Choose what size you need! The complete kit or just the tin! Included is a pre-cut foam pad to attach inside the tin bottom. The padded interior reduces the noise of multiple cutters inside and can be secured permanently or removed (if you don't attach the adhesive back) at your pleasure. Our Cutter Tracker Card fits snugly in the lid of the tin. By recording the cutters you have on the card you can quickly identify what is in the tin ---- and what might have been 'borrowed' out by friends. Make it easier to coral them all before leaving class! 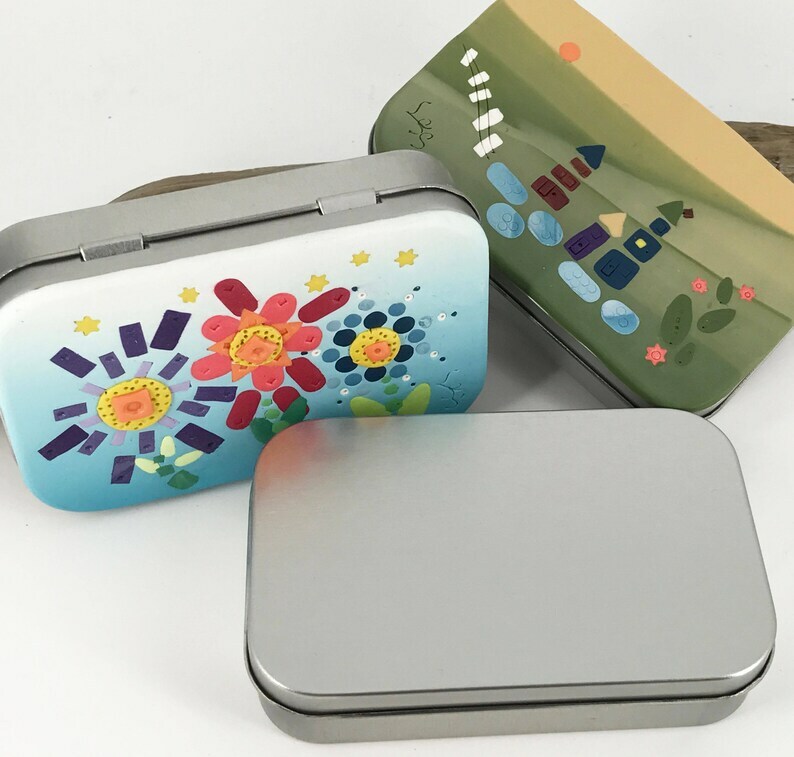 UNLEASH YOUR CREATIVITY as you make a unique and identifiable personalized tin to store your investment in tools. 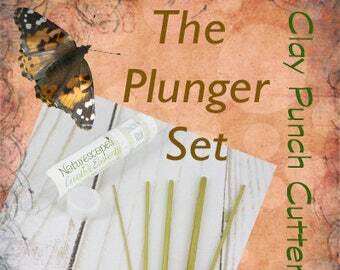 Make covering your tin your first project with the Clay Punch Cutters™! BONUS! Included in your purchase is a short tutorial with instructions on making a polymer clay lid topper using the designs shown above. With tips and ideas on how to attach to the tin and the best ways to use the Clay Punch Cutters™ your Tin Topper can become a visual sampler of the CPC™ in your collection. Included is a TEMPLATE for the topper so you can concentrate on the design, not the sizing. Unique kit and will make a great gift for my favorite clayer!